Those who have been following the progress of the Panama Canal Expansion project will recall that the lock design to be used was included in the plan's announcement. That the project's key system had been preselected was most unusual, a shock to lock design experts familiar with Panama Canal expansion issues. Beyond pronouncements assuring that all possible lock configurations and ship lifting mechanisms had been thoroughly assessed prior to selecting the most appropriate water-saving locks for the project – and claiming that, due to those locks, the new system would be environmentally friendly – no technical reports that truly back those assurances have ever been produced. Given the project's reluctance to make available details of their system selection process, outsiders have had to rely on deductive reasoning to figure out why locks are being built that – relative to other layouts – will forever operate inefficiently, increase the likelihood of transits being delayed, magnify the potential for damaging the environment irreversibly, plus deliberately introduce an extreme seismic risk that previous Panama Canal projects specifically avoided. Building a dike that crosses a well-documented active fault-line, known to have ruptured significantly twice during “modern” times, which should it rupture again would surely result in the catastrophic loss of the entire canal, plus wash to sea everything proximate to the canal's Pacific entrance, is insane, pure and simple. Under detailed scrutiny, making sense seems not to be a project requirement from neither technical nor financial perspectives. Rather than a plan aimed at improving this waterway's capacity and capabilities, the reason for launching the Panama Canal Expansion appears to have been to trigger – in short order – a multitude of port improvement projects worldwide, and also to energize the ship-building complex. Why this is so is elementary. The aim seems to have been to convince communities around the globe that it would be prudent for them to begin upgrading their ports, or their fleets as the case may be, now in order not to lose out on the coming increase in trade the canal's expansion would be generating. In other words, the canal expansion's purpose was to be the domino that would cause all the rest to fall. One need only look at all the port expansions and ship-building activities launched in step with this project to realize that this strategy to tap into public fund in a big way has worked to perfection. The problem is that – as determined through a more in-depth assessment of the technical merits of the system – the planned Panama Canal Expansion does not appear to have what it takes to meet the claims marketed. The disparities noted between system capabilities and promotional claims go a long way towards explaining why a visibly spectacular and very expensive media campaign was carried-out for the expansion of a world-important canal that would otherwise have sold itself. It also explains why efforts to publicize questionable issues with the project in mainstream media continue to be blocked. There are clearly many powerful organization profiting from the resulting upswing in business who would suffer significant losses if the canal expansion's aura of perfection were to be tarnished or its pace slowed. Not having been preceded by the usual signs that the planning of a major project was afoot – such as the hubbub produced by lock system selection studies – this canal expansion's announcement came as an abrupt surprise. How it thereafter proceeded – virtually unquestioned – continues to be very disconcerting to those familiar with the technical aspects of that canal. And, it would seem, the game has grown beyond expanding the canal, and generating port and shipyard work. Because no governments or reputable organizations have seriously questioned any significant elements of the plan, the “green light” has in effect been given for the unscrupulous to go after as many natural resource in developing nations as possible, which is destroying those nations' ability to become self-sufficient. Panama itself is being severely impacted by that plague, all of which is being bank-rolled by the world's developed nations whose governments appear to be “in bed with the mob”. The goals of this seemingly “globalized con game” have clearly been met. Many of the publicly-funded income streams that were pursued have been captured – with commitments for many major projects within first-world nations obtained – plus vast amounts of cash from major financial institutions have been accessed. Rest assured that everyone “entitled” to a cut of that bounty has already gotten a share. This money-game is simply another chapter of the financial scandal from which the world is still reeling. From the perspective of those controlling the game, the expanded Panama Canal's profitability, efficiency, sustainability, and safety are not relevant. The above assertions will, obviously, seem outlandish and absurd to those who are either unaware of, or misinformed about what is going on beyond the borders of first-world nations. Clearly, there is enough going on within the first-world to keep everyone in those countries busy with problems at home; so, their citizens will tend to say “let the people over there handle their own concerns”. The problem with that is that third-worlders do not have the funds needed to fight of the abuses that first-world citizens are unknowingly funding, and in some cases supporting by force. In the case of Panama – where the Panama Canal Expansion plus over a hundred of hydroelectric installations and dozens of highly contaminating open pit mines are either approved, under construction, or are already in operation – its common folk are generally being “benefited” negatively. Despite all the projects having been promoted as sustainable to qualify for “development” loans, the effects of lost arable land and of drinkable water that those projects are causing are already being felt by the masses. Besides causing food shortages in-country, that drop in farm production will lead to fewer exports, which will cause first-world food prices to rise even more than what they've been driven to by the higher cost of fuel. Those shortages will lead to more people attempting to migrate in search of better opportunities, which already is a sore issue in first-world countries. In addition, the quickened pace of the global rise in temperature and sea levels caused by the unfriendliness of all those “sustainable” projects is already being noted. Thankfully, enough people in first-world nations have caught on to the reality that their money is funding destructive mining operations and shoddy hydroelectric projects, which means there is a chance that the most damaging of them will be stopped. With respect to the Panama Canal, the purpose of the balance of this document is to present a series of facts and observations made of its expansion in the hopes of convincing the silent majority that it is still possible – and in the best interest of the global community – to salvage the project. To that end, key concerns with expansion of that waterway will be noted first, followed by a description of how the present project handles them. The shortcomings inherent to each component chosen will be interjected in parallel. The most appropriate technical solution for overcoming problems with the present plan will follow. During the joint US-Panamanian Canal administration that preceded the final gifting of the Panama Canal to the Panamanians, a several-year-long study – manned by international experts – was commissioned to assess the immediate and future needs of the canal and to set forth recommendations for ensuring its future viability. In addition to recommending appropriate watershed land-use strategies – necessary to maintain the rainfall quantities and storage capacity for present and future canal operation – the report prepared by those experts also noted that any future expansion of the waterway would require the development of water-saving locks. It also stressed the importance of minimizing the effects of salt intruding into the canal's lakes so as to safeguard the environment. Independent technical assessments of the project plan currently underway for expanding the Panama Canal and of corresponding changes of legislation that have occurred, have found that the project does not really meet the spirit of any of that study's recommendations. In fact, other than using all the “right buzz-words” and fervently claiming to have found a “lost” water-saving method – supposedly missed by the US and other experts – that “resolved” the most important canal expansion issue, the other major concern with salt-intrusion has in effect been swept under the rug. Additionally, a previously resolved seismic risk issue has been reintroduced. Investigations into project financing have led to the conclusion that the canal, like many other projects in Panama, has received development funds that it really should not have. Considering those points, and having experienced 8 years of mainstream media ignoring all questioning of the project, it became clear that the intent of this project was to develop a quick-and-dirty, but seemingly plausible plan, with which communities around the globe could be convinced to launch related projects, and, most importantly, convince the citizens of Panama to give the project the go-ahead vote. The approach apparently seen as the shortest path to the goal of launching lucrative projects worldwide – all contingent on launching this one without delay – was to use as much of the US's 1930's attempted canal expansion work as possible. Given that adding side-tanks is the only way to add water-saving capabilities to the single-lane lock layout chosen in the 1930's, that choice was locked in and a campaign was planned to convince everyone that the 1930's locks enhanced in this manner were the only possible ones – which they are not – for expanding the Panama Canal. To achieve the true goal of capturing cash-producing contracts ASAP, it was paramount to avoid the longer but proper selection process of developing viable alternatives from which the one that best balanced sustainability and cost could be selected. To follow a more responsible time-line – that would delay the kick-off of canal expansion work, as well as the innumerable other public works projects worldwide – was unacceptable to the game afoot. The only choice to get rich quick was to, effectively, execute a con. And, were public funds ever spent to achieve that goal! Convincing the shipping-world that the new locks' chambers could at most be about the size of those defined in the 1930's plan was one of the first tasks to perform. It was claimed that even with the "best and only" water-saving solution having been identified, there just wasn't enough water to be had to contemplate anything bigger. Propaganda in parallel was used to hammer home the message that no other feasible or better lock solutions existed. To get around shippers balking at the proposal to only build one lane, the sales pitch given them was that this was just Phase 1 of a two-phase project. Essentially argued was that such phasing was necessary because only sufficient financing could be gathered to launch half the work; if all had to be done at once, nothing would be done for lack of money. Promised was that Phase 2 would begin in about 10 years, about when the first phase became operational. But, a whole different story was told to the people of Panama. Given vociferous objections from the public to the plan to expand the watershed in order to add the one lane, the local sales pitch focused on defusing the political problem that had arisen. To resolve it, it was “suddenly” realized that the water availability dilemma could be “solved” by adding a third side-tank to each chamber. Additionally, Panama's president declared that a law against new reservoirs would be enacted. Two crowds, two stories, and neither of them really true. What nobody has paid any attention to is that even the 11th-hour switch from two side-tanks to three was a preplanned ploy. As discussed in the section that follows, the two smaller side-tank locks being built in Germany at the time – which would serve to “validate” this project's selection – had three tanks beside each chamber., which is not believed to have been by coincidence. Along with the third tank, the revised plan also entailed changing lake operating levels. Doing that impacts every existing facility or developed property on the shores of enormous Gatun Lake, not to mention the lake's many dams and spillways, and the original locks. Additionally, the uppermost chambers of the new locks need modifications and lock operations need to be reassessed. Yet within a month, all of this revising was declared fully completed and the process moved on to the referendum vote. Unbelievable. At the Atlantic end of the canal – where the US had effectively completed the rock-blasting and digging efforts needed for building their locks – virtually all the 1930's work could be taken advantage of by the planned approach. However, to minimize construction efforts at the Pacific end of the canal a relatively “simpler” lock arrangement was decided upon which did not use the work done previously by the US. What was decided was to build the single-lane Pacific locks with all three steps joined together – like those on the Atlantic side – rather than follow the US's lower-risk layout. To do that, a new site was identified to the west of both today's Miraflores Locks and the lock site the US prepared in the 1930's, from where an elevated channel could be lined up with the canal's uppermost waterway – Gaillard Cut at Gatún Lake level – in order to bypass Miraflores Lake along its west bank. That plan requires building a dike across fault-lines that traverse unstable ground under Miraflores Lake. Miraflores Lake's primary function is to protect the waterway from an earthquake-generated catastrophe. Yet included among various arguments presented has been that such a risk does not exist, because Panama “doesn't have” earthquakes. Thus, no attention is called to the sizable earthquake-induced fault displacement that used to be observable just east of the canal – where those fault-lines cross the Las Cruces Trail built by the Spaniards and that inexplicably seems to have been obliterated. Nor is it mentioned that in 1882 – during the French canal construction effort – a quake along those faults killed some workers, and project leaders sent squads into Panama City to help with repairs in the hopes of minimizing negative press reaching France that could kill the project. Miraflores Lake's other function – that is not officially mentioned – is that it serves as a barrier to the progression of saltwater into Gatun Lake. That function has already been diminished by expansion work. Bypassing both protective functions of Miraflores Lake goes solidly against historical fact, expert wisdom and logic. Doing so puts the canal itself, its clients and its neighbors, as well as ecology in and beyond Panama, at great risk, just so a few can make big money fast and walk away with the gamer's prize of having pulled off the world's greatest con. As past attempts at using side-tank locks were not exactly glowing successes, an additional project task was to establish new credentials for that system. Virtually in concert with the Panama Canal Expansion's announcement, the two side-tank lock units being built in Germany were brought into the limelight to add credibility to Panama's plan. As the decision to use side-tank locks at the Panama Canal had clearly been made before those “validation locks” were up and running, speculation exists – that is not farfetched – that Panama's decision to use side-tanks was actually made prior to Germany “choosing” them. If not for the Panama Canal Expansion Project needing a “successfully-operating example” of side-tank locks, it is doubtful that the Germans would have decided on their own to build new locks with tanks. After all, a simpler, cheaper, and lower maintenance two-lane single-step lock layout exists that offers comparable water-savings. The Pedro-Miguel Locks of the Panama Canal are a well-known example of such a layout. Without tanks it can operate using either 25% or 50% of the operating water normally used, dependent on the momentary traffic flow pattern. The new German side-tank locks reportedly reduce water-use to 40%. If a more efficient two lane lock design was being sought in Germany at the time, a more likely choice would have been to move technology forward. They would have figured out how to add tanks to a set of Pedro-Miguel styled locks – as was done soon after Panama's expansion plan was announced – instead of regressing to a system choice that is proving problematic as were its past versions. There is much that can be said about the delays and confusions that occurred during the bidding process, but the outcome is all that really matters. From day one, when the consortia participating in the contest were announced, virtually everyone in Panama was certain of which group would win. And, so it was. The victorious consortium had, as one of its members, the company that the reigning Canal Administrator headed prior to assuming his current post, a company that was already doing the lion's share of the expansion's dry excavation work. That consortium's bid was about $1 Billion less than the next lowest bid. The bid was about three quarters that of its nearest competitor, which is a very significant difference considering that all the goods and services needed must ultimately come from sources that are, in effect, themselves competing for individual pieces within the project. Nonetheless, although quite clearly something was amiss, the low bidders were rather quickly confirmed as the winners without a bid-conditioning exercise being performed to verify the validity of the assumptions made by the various bidders that resulted in such a large gap between the two lowest bids, and also the even vaster gap to the third-lowest bid. The fact that nobody squawked made it unquestionable that the bidding exercise was just window-dressing devised – and clearly decided well beforehand – to give the process an air of legitimacy. It became very apparent that even the firm that managed the bidding process, a firm touted as ecologically friendly, had been chosen to add credibility to the plan. It is most likely that the expansion project was planned around shares of work that partners in the scheme had negotiated far in advance of launching it. Rumors are that none of the contractors in the winning consortium have the know-how or the in-house experience necessary to build a first-class lock system, a job that would require far more complicated site preparations and demanding construction than the system now slated. If true, that explains why the more complex work left undone by the US in the 1930's of blasting a lane next to the Pedro Miguel Locks has been avoided, and why the relatively simpler bypassing of Miraflores Lake – although it significantly increases the seismic-risks to the waterway – was preferable. Having to do it right would certainly take a chunk out of targeted profits. Seeming that the Panamanian partners' prize in the apparently much bigger game afoot was to receive most of the canal expansion's on-site construction work, it was imperative that the lock construction bid look credible, so a “watered-down” lock arrangement that any run-of-the-mill contractor could tackle was essential. The “simple concrete construction” theme was often repeated to promote the project as such. While all the solutions chosen and assurances given have been tailored to make this canal expansion appear acceptable and affordable, the price to pay in the long run – unless it is re-directed and modified – will be to forever struggle with operational problems, relatively low throughput, poor use of water resources, contamination of the lakes by salt, and eventually permanent impacts to fauna of both oceans, if an earthquake doesn't finish off the waterway first. The Panama Canal Expansion Project can still be salvaged if lock construction is halted before too much concrete has been cast. Letting it ride without challenge will only confirm that con-men are firmly in control of this planet, and leave future generations stuck with the tab! Returning to the recommendations of the experts, a successful canal expansion requires highly efficient locks to minimize the expenditure of water and, simultaneously, a lock layout that effectively disrupts the progression of saltwater up the steps. Adding an earthquake related risk by putting a dike across an active fault-line is clearly something not to do. Stopping salt-intrusion and minimizing the earthquake risk are the easiest concerns to attend. Proven solutions for both issues are already present in the Panama Canal and have been working without a hitch for the last 100 years. The resolution to those problems is, then: don't break what has already been fixed! Reducing water-use requires a little more thinking, as there are four standard approaches for saving water. Finding the best combination of these for this job requires a bit of mixing and matching. But, even that is no big deal as that work has already been done. Whereas the one-lane three-step side-tank locks now chosen combine two of those water-saving approaches (steps and tanks), the Panama Canal's Pedro-Miguel Locks combine two other approaches (side-to-side water-sharing and transit-by-transit lane reversals). Together, these two systems include all the water-saving techniques ever invented for gravity-operated locks. Using the volume of water today's Panama Canal Locks expend during normal operations – adjusted for the relative size difference between the old and the new chambers – as the baseline for comparing competing layouts , the planned side-tank locks will use 40% of that baseline volume. The planned side-tank locks are to have a total of 6 chambers and 18 tanks. Alternatively, a system comprised of two Pedro-Miguel styled lock units – with a Miraflores-like lake between them (serving to reduce water-use, block salt-intrusion, and avoid the Pacific-side fault-lines) – at each end of the canal, would use 35% of that base-line volume, incorporating all the layout and operational differences between the systems. This arrangement would have a total of 8 chambers, with no tanks; and, best of all, it would have two lanes. With the single-lane three-step planned locks, a given number of ships must transit single-file in one direction until the lane is cleared and the direction of transit reversed. With a separated-two-step two-lane Pedro-Miguel styled lock arrangement, transit direction through each chamber switches after every ship to maximize efficiency. The operations of either layout are essentially the same. Thus, comparing transit times of the two is a relatively straight forward exercise, because operating times for similar actions are virtually equal for both. Thus, whereas it was estimated that the throughput of the side-tank locks will routinely be 12 ships in 24 hours (14 when everything goes perfectly), a Pedro-Miguel styled lock arrangement would be able to routinely handle about 20 ships (24 when everything goes perfectly). To maximize the number of transits through this two-lane arrangement water use can be reduced to 23% by adding just two tanks to each Pedro-Miguel styled lock unit. That's 8 tanks in total. A system with enhanced Pedro-Miguel styled locks can complete 20 transits with the water the planned side-tank locks will use for 12 transits; that's 8 more transits a day without chopping down a single tree and spending more money to build new dams and lakes. What's more, the tanks can be added later, if planned for, which additionally lowers up-front cost. Finally, a two-lane system would be less vulnerable to total shutdown than a single-lane system. Also, the serious difficulties with blasting out a second-lane next to the first one – while it is operating – will be avoided. After the Panama Canal was fully gifted to the people of Panama, the hype has been that Panama is running the canal much better than the US ran it. What exactly does that mean? The number of ships that can transit it today are the same as the number that could transit it just before it was handed over, which is about the same number as it could handle when it was brand new. The US performed a great deal of widening and deepening in parts of the waterway to keep up with the ever increasing number of ships that just barely fit though the locks and various channels. And, Panama continued doing pretty much the same until announcing the plan to expand. The question is how doing pretty much the same thing translates into the claim that the Panama Canal is being run better today than in the past. The fact that ten to twenty times more money is being made appears to be the justification for that claim. That, however, is no extraordinary feat considering price-gouging was not permitted during previous administrations of the canal, while the present policy is to charge what the market will bear. 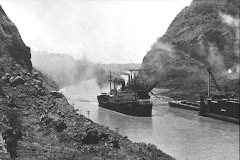 When the Canal Zone was administered by the old Panama Canal Company and then the joint US-Panama Canal Commission, all goods and services were under the administration's control and payroll. Everything – be it schools, libraries, clinics, hospitals, police, fire-stations, emergency services, recreational facilities, roads, bridges, power, lighting, phone services, lawns, employee housing, commissaries, postal services, port and maritime services, travel services, and on and on – was managed and maintained by the Panama Canal Company, in addition to running the canal. The present-day Canal Administration primarily attends the canal and but a fraction of what its predecessors administered; the nation and some other private firms now take care of most of the list given above. Yet, even before the canal's expansion was announced, that organization was busily fanning out to more and more buildings, filled with progressively more personnel. Naturally, after the expansion was announced the number of buildings and occupants seemed to grow even faster. Expansion work was obviously already afoot before the plan was announced and a lot appeared to be well underway before the vote to expand was cast, even though doing expansion-related work was inappropriate before being approved by that vote or some interim approval mechanism. Not only did “getting” the vote pardon the work done prior to the vote, it blessed the multi-multi-million dollar promotional campaign and all the lavish marketing trips and presentations. None will ever need to be justified. To anyone truly paying attention, the voting process for the canal expansion's approval was far from transparent and campaigning was lopsided beyond belief. Public forums were managed very tightly. They were pretty much dog-and-pony shows with set scripts. There were panelists for the expansion and there were panelists for the "alternative" rail/port facility complex. Straying from that black vs. white script was, for all purposes, disallowed. All attempts to get at “how-to” specifics of the canal plan were nipped in the bud with the use of assorted tactics, such as claiming “that's rather complicated to explain and not worth getting into as it will go over everyone's head” or “the expert on that is not present, so save it for next time”. 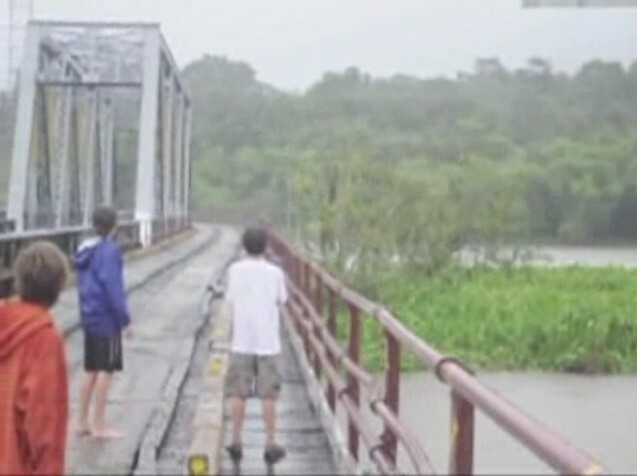 On one particular occasion, when a forum attendee asked why it was that the intrusion of salt had made Miraflores Lake quite brackish, but not Gatun Lake, or something to that effect, the panelist for the canal noted he wasn't quite sure, but that there was something “magical” about the third step. Thereafter, it was quite common to hear that, because the new locks will have three steps, salt-intrusion is not a concern. That, of course, is nonsense, but taking liberties with the interpretation of data and the truth was clearly considered acceptable. Making declarations in direct contradiction to known facts – like stating that in Panama there are no earthquakes so the risk of failing the dike to be built across fault-lines is very low, when at least two major movements at those very faults have been experienced since the Conquistadors arrived in Panama – demonstrates an air of confidence among project promoters, even when the truth is not being told. This appears to illustrate why terms like confidence men or con artists have evolved. A highly inefficient and very risky expansion is being pushed ahead for the Panama Canal that is clearly not in the best interest of Panama, nor of the rest of the world. Rather it is in the interest of those who have promoted the plans and of those who are directly benefiting from one or more of the enhancement projects underway elsewhere in the world as a result of it. Whether this project achieves its promoted purpose or not – or whether do any of the others – appears not to be a concern as long as this well-orchestrated scheme meets its true goals. What happens after construction profits are pocketed seems to be of no concern either. For this reason questions about technical choices – the merits of which were highly advertised – have never been answered, as dialogue has been essentially disallowed. To this day, those with the power to demand accountability have not done so. As a result of design choices made, risks to the Panama Canal and to the ecology – both on land and in both seas – will be increased without justification, plus its fresh water resources will be needlessly polluted and wastefully used forever. The assertion that the Panama Canal is now being run as an efficient business is either misguided or could be an attempt to keep the game alive. As is, this expansion is not a sound long-term business venture. It was not planned to be one. Nonetheless, it is still not too late to make it sound. The “know-how” to expand the Panama Canal – efficiently and sustainably – has existed all along, but not the moral fortitude to stand up for what is right. Transforming this project into one that is truly worth completing will require the intervention of people of stature – or power – equal to that of the leaders of all developed nations that have by default colluded with those behind this money-making scheme. Turning the tide will require faith and resolve, and a lot of hard work.